Australia's first super fund for women, by women, has joined the ranks of several new funds jostling for a piece of the $2.7 trillion superannuation market. 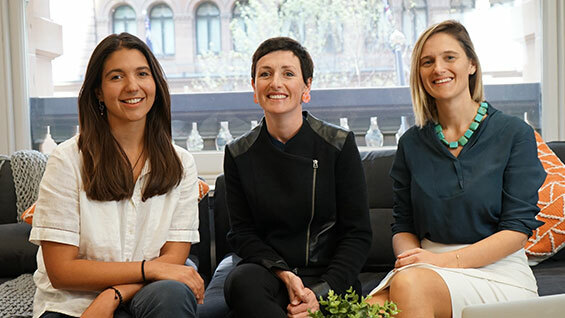 Verve Super, founded by economist and former Greens Senate candidate Christina Hobbs, vows to close the $100,000 superannuation savings gap by designing a product specifically for Australian women. Hobbs, who has also worked for the United Nations, told Morningstar she founded Verve because the sector was failing women by neglecting the perceived inequality in financial services. "If you look at the current system, 93 per cent of financial services companies are run by men," she said. "It was a service established decades ago to serve men and I don't think we've seen great innovation since. "We see funds trying to target women through pink writing and photos of women and children, but we're not seeing a change in the actual service provided. Hobbs says Verve is the only superannuation fund in Australia dedicating 100 per cent of its resources, focus and attention to serving women. "We really thought there was a gap in the market in terms of a super fund that was really actively working to build the financial power of women," said Hobbs, who is also on the board of Simon Sheikh's ethical fund Future Super. At retirement, women on average have $157,050 whereas men have $270,710 – a gap of $113,660, according to data released by the Association of Superannuation Funds of Australia last month. The gap between women and men extends to younger cohorts too. Women aged 30-34 have balances of $33,750, whereas men have $43,580. The gap is closing, albeit slowly. As part of its initiative, Verve will provide free financial coaching materials, webinars and events to help women build their wealth. The fund will avoid investing in companies where there is an absence of women on the board or companies that abuse women at any point in the supply chain. "We engage with companies first and we give them a time period to shift their stance on women of their board and if nothing happens, we dump their stock," Hobbs said. Verve will also waive administration fees for women on maternity leave. That fee is $93.6 a year, plus 0.79 per cent of the balance. Verve was launched on Monday and follows that GuildSuper's SUPERSUPER scheme, which allows women to top up their super while they shop. GuildSuper general manager Greg Everett says the program is designed for women who have been disadvantaged by the superannuation system by helping them save while they're on maternity leave or working part-time to care of children. Verve's entrance is the continuation of a growing trend in the superannuation market. Since the early 2010s, several niche funds have appeared - each claiming to fill gaps in the market. First up, a series of ethical and environmentally focused products encouraged members to switch their super "away from super funds that fund the fossil fuel industry", and into funds which will help the nation to "build a clean energy future". 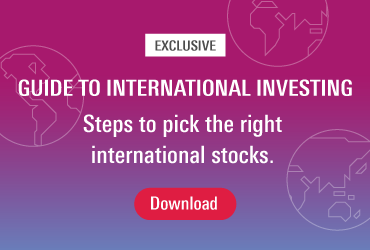 The entry of Australian Ethical, Future Super, Good Super and Cruelty Free Super pushed several industry funds to launch ethical investment options like HEST Eco Pool and AustralianSuper Socially Aware. Zuper, a low-fee offering starting the "superannuation resolution"
Despite the plethora of new products, launching a new fund is difficult. Human Super, which burst onto the scene in 2017 promising to connect women with their super, has since gone quiet. After raising $500,000 and promising an October 2017 launch, the fund stalled, blaming the incoming fund fee disclosure rules, according to the Australian Financial Review. Like Verve Super, Human Super said they would help women to save by pausing fees while members are on maternity leave. Last year the corporate watchdog said it would begin scrutinising the growing number of funds entering the sector. Spaceship was subsequently fined over misleading claims in its marketing materials. Hobbs told Morningstar she sees the regulatory hurdles preventing people from easily accessing Australians retirement savings as a good thing. "It's quite difficult to start a super fund in Australia because of regulation and we've seen a number of new entrants, raise capital even, and then not be able to launch. I don't think that's a bad thing," she said. "I think we need to encourage competition in the sector, but I think having that regulation and hurdles in place are really important to ensure people's confidence in the system." Verve has partnered with Future Super as investment manager, and Diversa, owned by listed financial services group OneVue is the trustee. Human Super's website says they are now "BeSuper – the super we've been waiting for". A representative confirmed HumanSuper has rebranded and will re-launch early next year with a new chief executive officer. Hobbs will head Verve Super alongside co-founders Zoe Lamont and Alex Andrews. Hobbs began her career as a management consultant with Deloitte, specialising in financial services strategy. She has previously worked head of operations for the United Nations' World Food Programme.